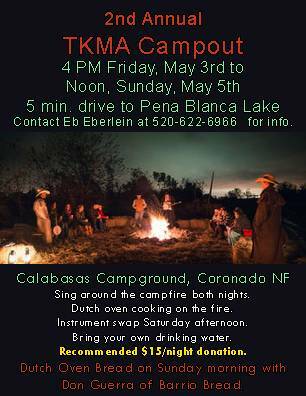 Attention TKMA Membership and all Tucson folk musicians! It’s time for another round of the TKMA Song Circle hosted by your TKMA Membership Guys: Teodoro Ted Ramirez and Don Copler. Sunday October 21, 2018, from 2:00 – 4:30 p.m. at Raices Taller Art Gallery located at 218 E. 6th Street, Tucson, AZ. We will gather at Raices Taller Art Gallery to share music! Please bring your hand held acoustic instruments and your best songs and we will gather to sing and play some of the best folk music around. 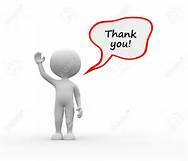 Poets are also welcome to share a poem or two. The TKMA Song Circle welcomes all ages and experience levels and is free to TKMA members in good standing and $5.00 to the general public. If you would like to join TKMA or renew a membership we will have TKMA staff on hand to get you squared away, or you may visit our website TucsonFokFest,org to sign up and to learn more about TKMA and the Tucson Folk Festival. TKMA is an all volunteer association and all proceeds go to produce our annual Tucson Folk Festival. Have questions? Email Ted Ramirez at: tedramirez.com or call him at 520-981-2240. 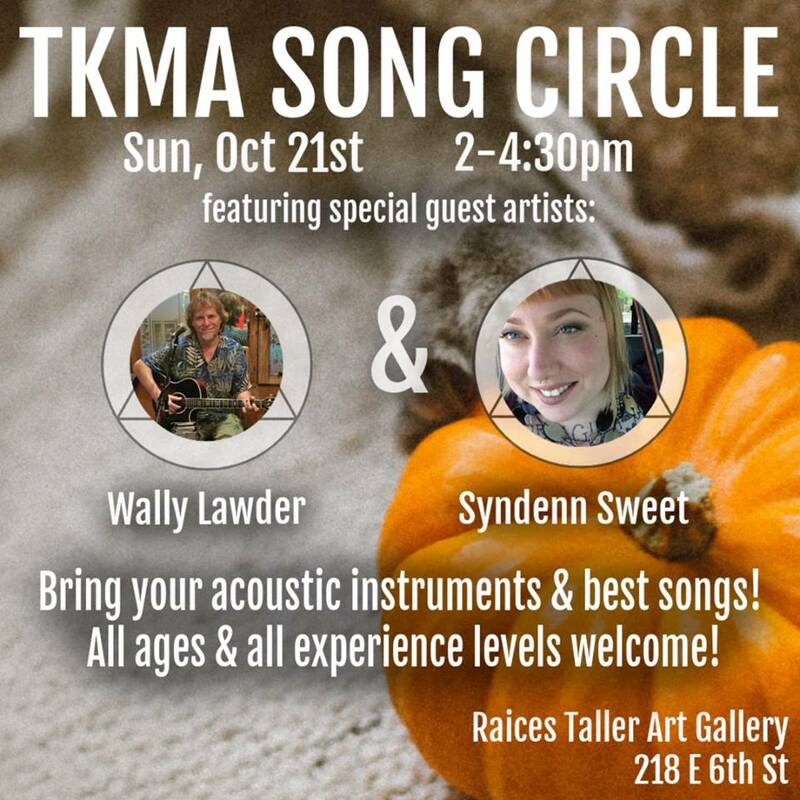 Hope to see you Sunday, October 21, 2018 (2pm) for the TKMA Song Circle! Wally Lawder is an award-winning songwriter with five CDs of original music to his credit. Originally from Connecticut, he moved to the southwest (New Mexico) in 2003 and has called Tucson home since 2012. Playing guitar or ukulele, he performs solo, duo or with his talented band Acoustic Sky. Pulitzer Prize winning poet Stephen Dunn wrote: “Wally Lawder is both a romantic and a social critic, and his quiet lyricism heightened by his gifts as a guitarist gives me great pleasure.”Syndenn Sweet is a Multi-Instrumental singer/song writer born and raised in Tucson, AZ. Syndenn is a local children’s music teacher and loves to spread the joy and wonder of music to her friends, family and the Tucson community. Syndenn Sweet is a Multi-Instrumental singer/song writer born and raised in Tucson, AZ. Syndenn is a local children’s music teacher and loves to spread the joy and wonder of music to her friends, family and the Tucson community.